Comment: I have a wide (4"?) downspout that comes off my house and turns right about 12" before the ground. That downspout is white. It turns left and connects into my original brown downspout that runs along the property to get water away from house. This downspout measures about 20 feet +. The brown downspout is the smaller size. There is leaking where the large and small meet up and I think the downspout on the house needs to be higher than 12" to get the water moving. Comment: Our gutters are worn, falling down in some places, needing some care. Comment: Gutter on second story level is damaged and needs to be replaced. Comment: We would like a portion of our gutter replaced with a fiberglass gutter. We also need to have a soffit repaired that has rotted and has a hole due to water damage. Comment: Gutter downspout was damaged from a car and needs repaired. Comment: Need 2 downspouts replaced on the sides of a large old (1914?) brick building, and drainage extensions added to them.The building is an owner (4) occupied 2 story building, very large, mostly brick. Also may need a front gutter repaired or replace, gutter is above front entry way and appears to be leaking badly. Might also consider adding gutters and downspouts on the back of the building, but need to get estimates first. Watertown Gutter Cleaning & Repair Services are rated 4.76 out of 5 based on 1,825 reviews of 31 pros. 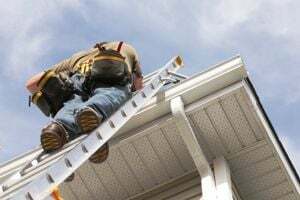 Not Looking for Gutters Contractors in Watertown, MA?